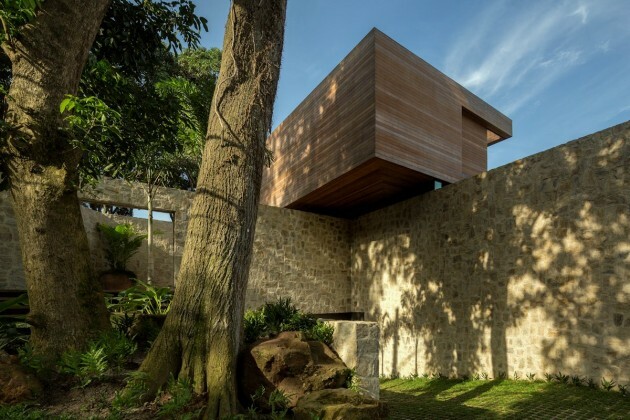 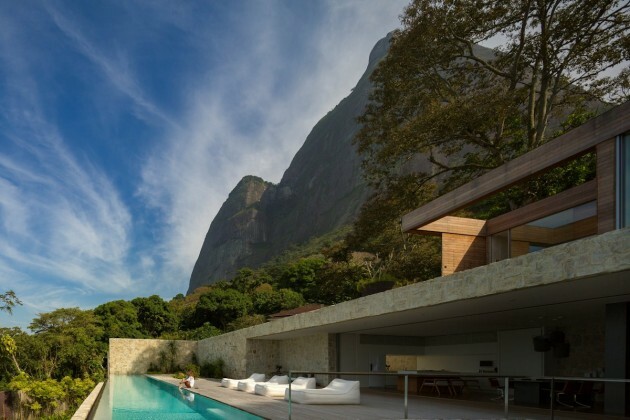 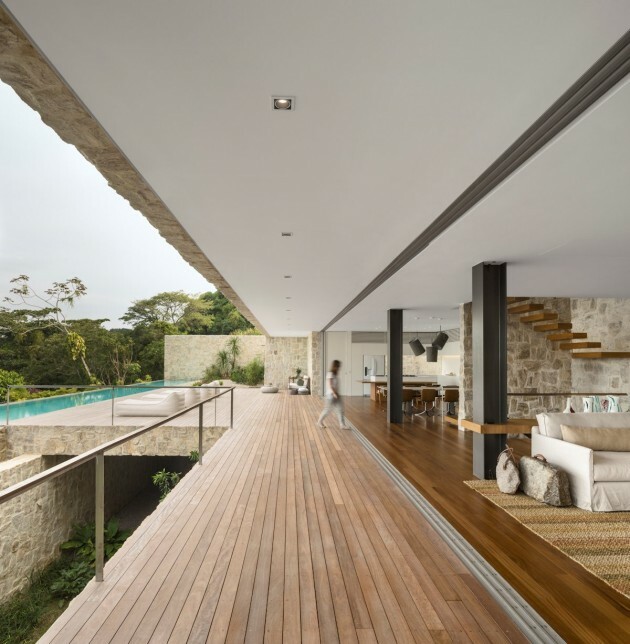 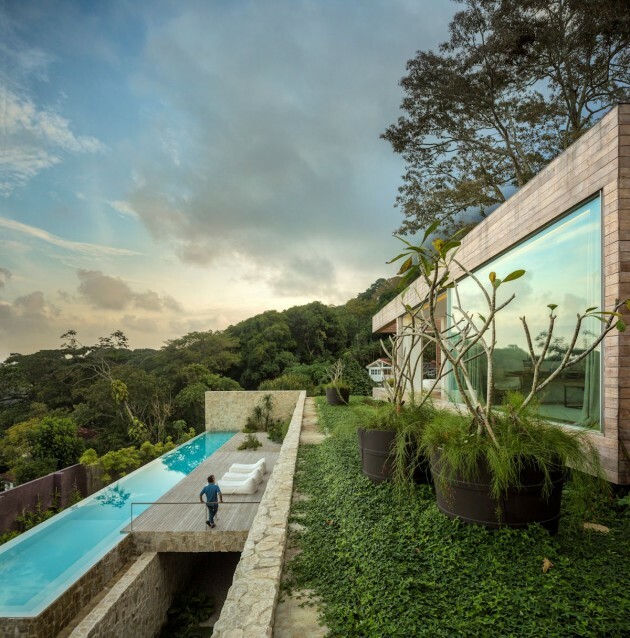 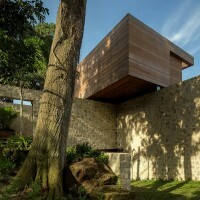 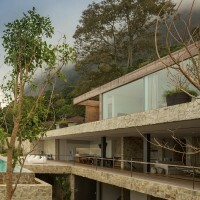 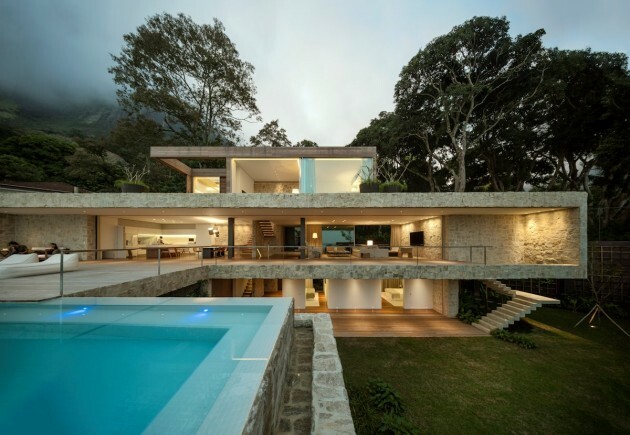 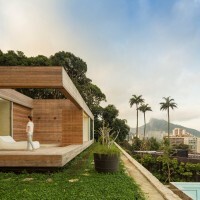 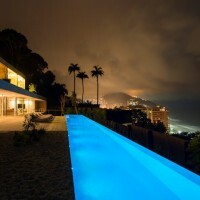 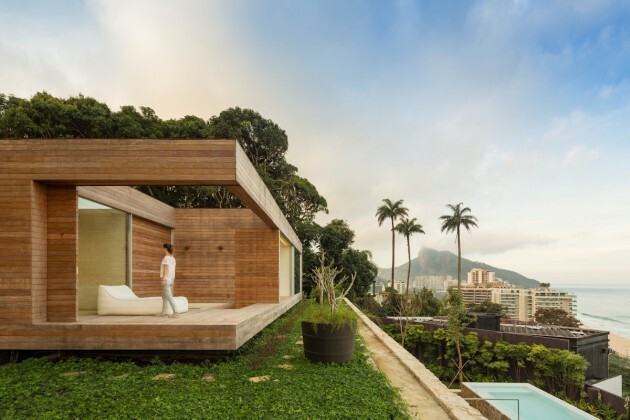 Studio Arthur Casas have designed Casa AL, located in the hills near Rio de Janeiro, Brazil. 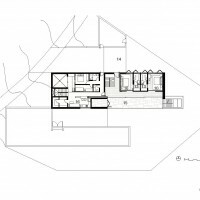 house right from the beginning with the architects, starting with choosing the right plot. 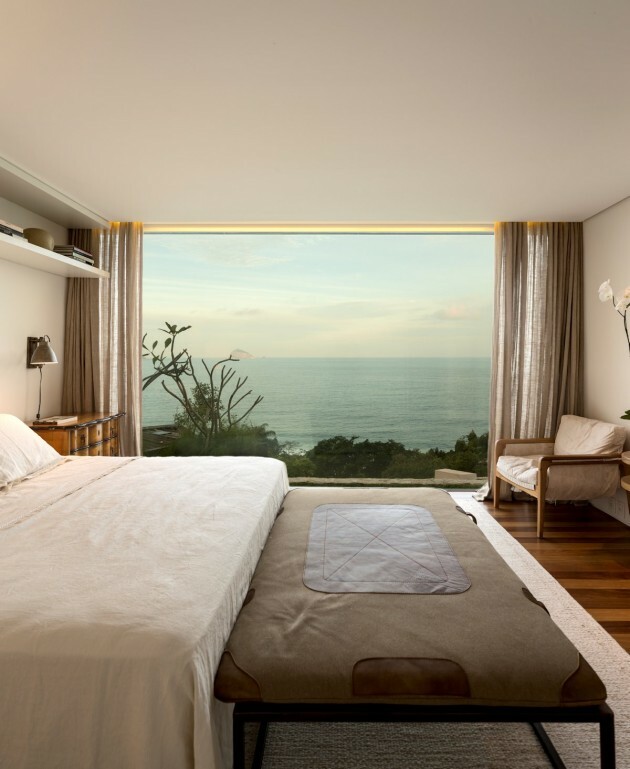 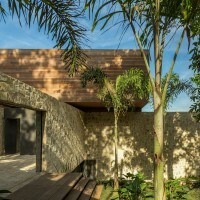 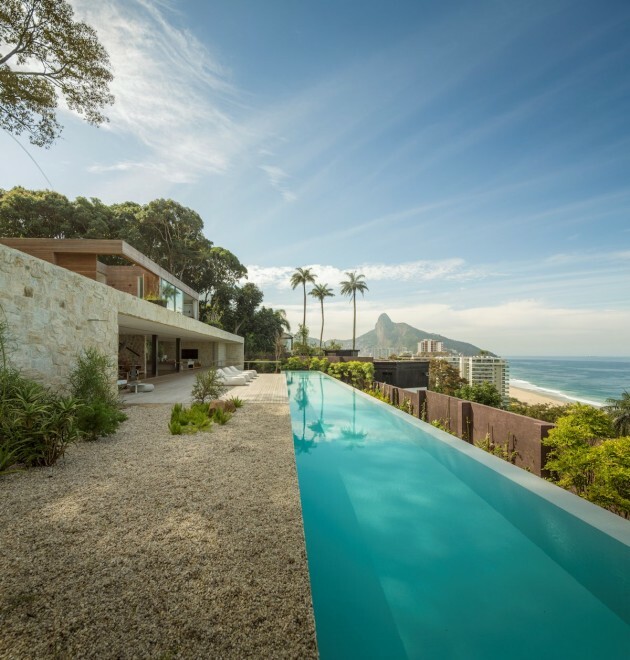 Located in the hills near São Conrado beach, the plot intrigued the client, as it had no direct view to the sea nor would be the best choice to contemplate the landscape. 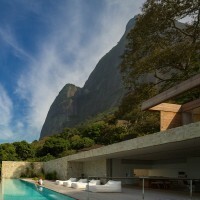 “For me it was clear we would be able to reach the view. 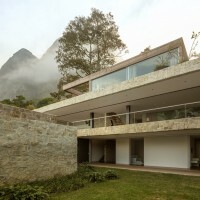 I assured him that all the social areas would be intertwined with the landscape” affirmed Arthur Casas. 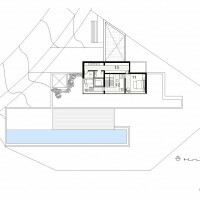 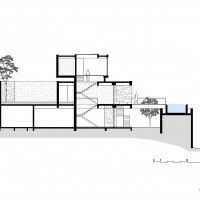 The solution was to raise the entrance, the social areas and the pool to the second floor, above the guestrooms and service quarters surrounded by a garden. 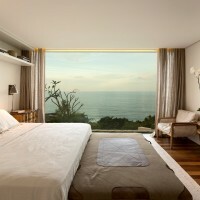 The spectacular views are present in all the living areas. 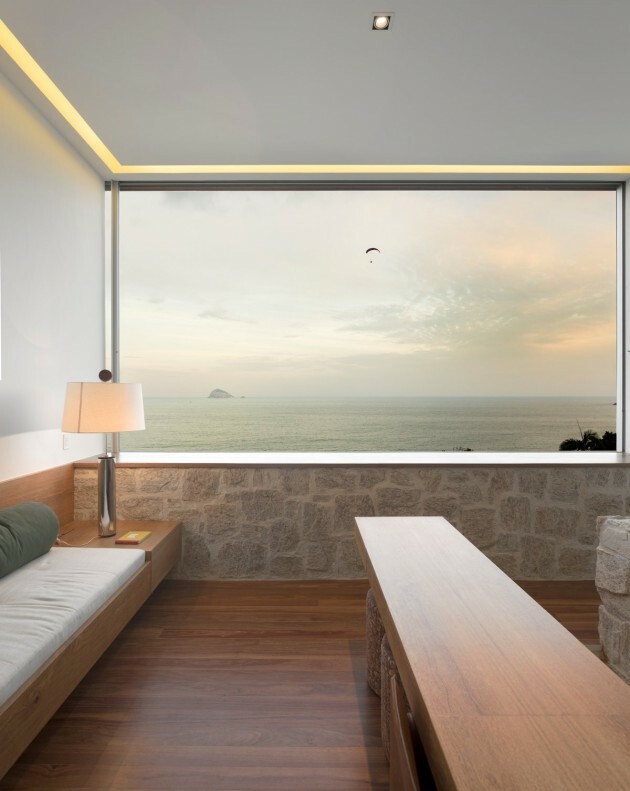 Large glass panels slide and hide behind the walls in order to erase the borders between inside and outside. 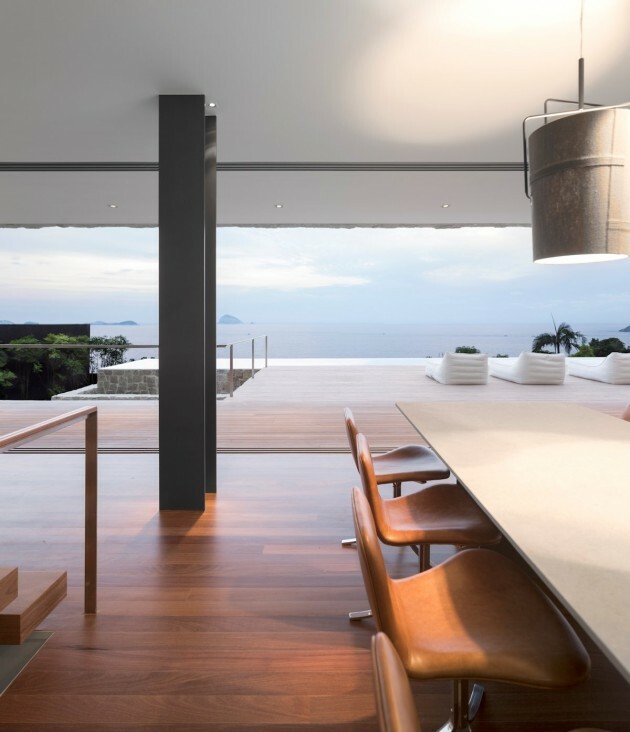 Great spans amplify spaces that have the same dimensions of a conventional construction. 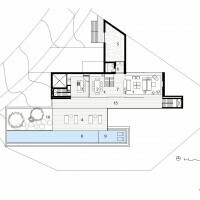 A third floor, with smaller proportions, houses private dependencies such as the master suite and the home office, both oriented to the horizon. 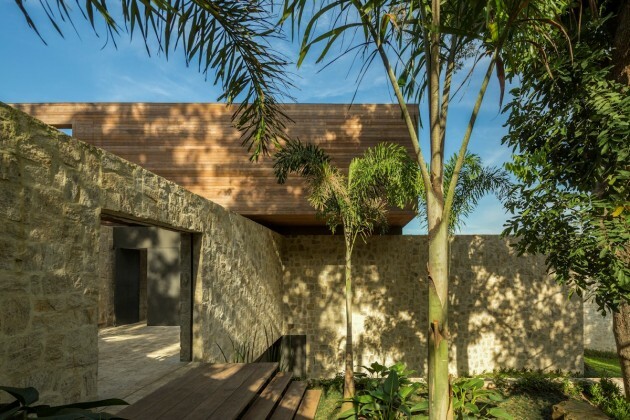 The materials employed are inspired by the landscape, with local stone and cumaru wood. 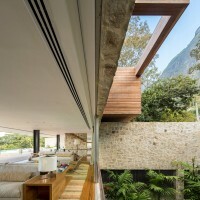 The interior design project favors comfort and casualness, with Brazilian furniture blended with foreign items. Architect: Studio Arthur Casas | Arthur Casas, Marina Werfel, Regiane Khristian and Renata Adoni.